Close the access and log off from the server. 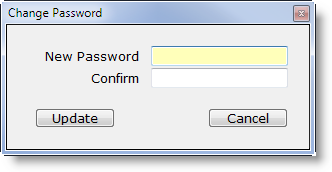 Login – close this window and display the Login window. You can use the Check Updates option to scan all your programs for the latest updates. Auto Decimal — For financial data entry you may want the decimal to be automatically applied. For example, you want to entry 20.50. If the Auto Decimal item is checked, you enter the value as 2050 and the program will automatically insert the decimal place 20.50. If the Auto Decimal is not checked, if you entered 2050, the program would interpret it as 2050.00. Disable ESC to tray – The default is that when you press ESC key, the menu will minimize to the task tray.